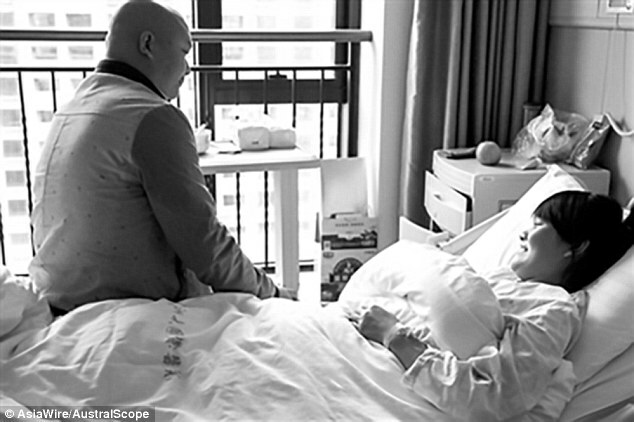 A woman was forced to choose between her brother and unborn baby and she choose her brother .Yang Li, 24, from Hangzhou City, was 12 weeks into her pregnancy, when she decided to give up her child so that she could provide a bone marrow transplant for her brother, Yang Jun, 29. According to Daily Mail,Mr Jun suffers from lymphoma - he was diagnosed in September 2015. The doctors told the 29-year-old that his only chance of survival came in the form of a marrow transplant, to which followed the news that his sister, Ms Li, was a perfect match. Sadly for the 24-year-old, after discussing the potential donation with experts, she was warned that donating marrow would have a significant negative effect on her child. She was recommended to choose either her baby or her brother. With the support of her husband and her in-laws, Ms Li made the impossible decision to save Yang Jun. She recently underwent abortion surgery in Hangzhou and is recovering. The doctors will perform the marrow transplant surgery in the near future as soon as Ms Li's body is ready.However, opinions on Chinese social media have been polarising, with some labelling the woman a 'hero' and others criticising her decision.